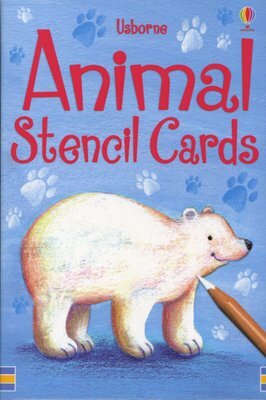 A box of animal-shaped stencil cards. It includes familiar shapes such as elephants, turtles, crocodiles, monkeys and rabbits. 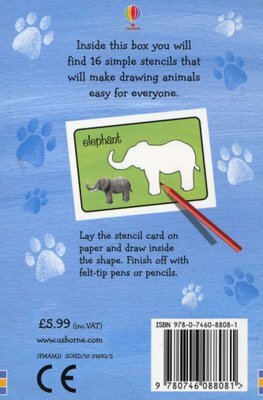 It is suitable for children to use either to create fun drawings or as part of craft projects such as cards and home made wrapping paper.